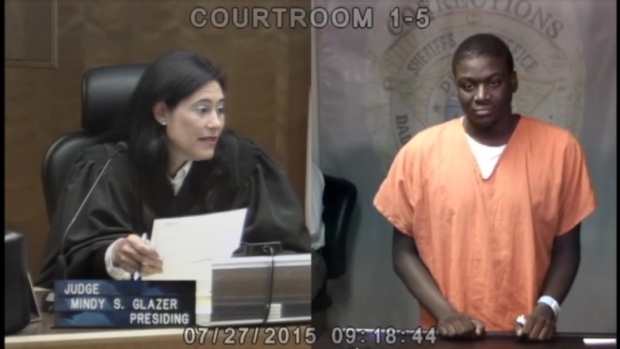 A Miami-Dade judge who made national news after her reunion with a former classmate in court had another reunion on the bench Monday, but this one didn't go back as far. Judge Mindy Glazer was hearing the case of Alon Glenn, who was arrested on a fraud warrant out of Georgia, when she realized they had been on the same cruise ship. "What were you on the Breeze?" a smiling Glazer asked Glenn, after realizing he'd been arrested at the port. 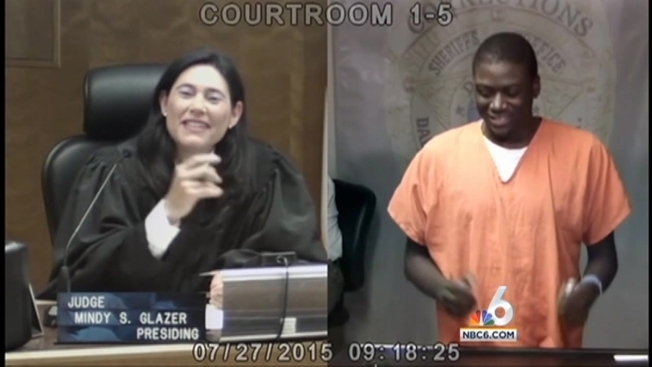 A Miami-Dade judge who made national news after her reunion with a former classmate in court had another reunion on the bench Monday, but this one didn't go back as far. Judge Mindy Glazer was hearing the case of Alon Glenn, who was arrested on a fraud warrant out of Georgia, when she realized they had been on the same cruise ship. "Me too, isn't that cool? You had a nice cruise?" Glazer said. "You didn't see me dancing? I was dancing," Glenn said. "I was sitting upstairs in the shade," Glazer replied. Glazer said she couldn't set a bond for Glenn but seemed to empathize with his situation. "If he wanted to flee, he could have fled in what was it, St. Maartens, St. Kitts, Puerto Rico, but he came back," Glazer said. Earlier this month, Glazer's emotional reunion with a former classmate in her courtroom went viral after the video was posted online.